The idea of crowd-sourced forecasts is based on the fact that combinations of a wide range of independent forecasts tend to be better than any individual forecast – a phenomenon that is often referred to as "crowd-intelligence." In fact, the success of these "multi-model forecasts" is based on the mathematical theory that a reasonably large number of independent models will show a normally distributed error around the one true value. 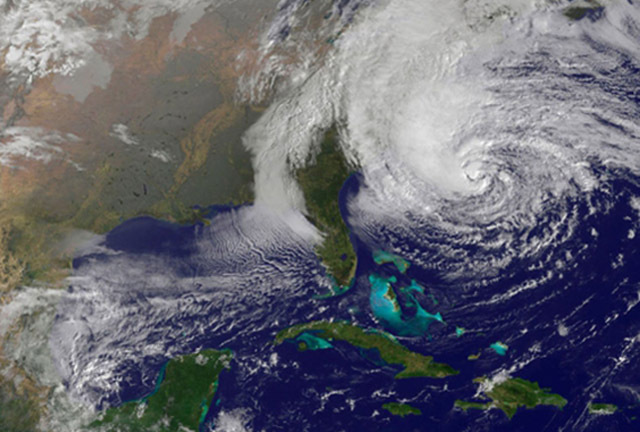 The seasonal forecast competition invites weather and climate scientists, forecasting researchers and professionals, and weather aficionados to submit their individual forecasts for tropical storm, hurricane, and major hurricane landfalls for six regions in the United States. At the end of each hurricane season, RPI2.0 will score all forecast submissions based upon predicted landfall locations and maximum wind speeds, which will be verified using the National Hurricane Center's Tropical Cyclone Report. In addition, RPI2.0 will analyze and provide an overview of all forecasts (the crowd forecast), offering a valuable source of information for individuals and organizations interested in next season's hurricane landfalls. The Seasonal Forecast Competition will have four annual rounds, with the winning forecast in each round receiving a $1250 award. The deadline to submit a forecast for the first round is December 1, 2012. To take part in the forecast competition and for further information on forecast regions, lead times, and how the forecasts will be judged, please visit: http://rpi.bios.edu/forecast/forecast_rules.